Explore the science in history and find science, technology, and math-integrated resources with this STEM-theme. 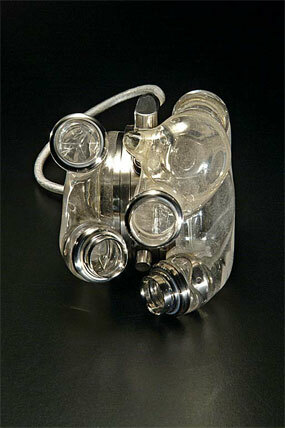 AbioCor Total Artificial Heart is the first electro-hydraulic heart implanted in a human. Approved by the United States Food and Drug Administration for clinical trails, the AbioCor was implanted in Robert Tools by cardiac surgeons Laman Gray and Robert Dowling on July 2, 2001, at Jewish Hospital in Louisville, Kentucky. 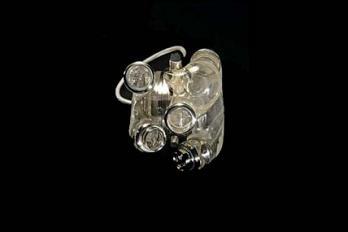 The historic operation marked the first time an artificial was used as a permanent replacement for a human heart since the air-powered Jarvik-7 artificial heart was implanted more than fifteen years before. The AbioCor is a two-chamber pump designed to perform like a natural human heart. It is powered by batteries, and pumps more than 2.5 gallons of blood a minute to the lungs and then to the rest of the body. Tools, who suffered from irreversible congestive heart failure, chose to have his diseased heart removed and replaced with the plastic and titanium pump. He lived for five months, well beyond the clinical trial's goal of sixty days. The development of the AbioCor involved a team of engineers, scientists, and physicians from across the United States. Completely contained within the body, no tubes protrude through the skin, nor is the patient tethered to a noisy bedside console, as with air-powered hearts. Instead the heart is powered by rechargeable batteries and microcomputer technology that regulates the heartbeat according to the patient's activities. Students learn anatomy by matching images of body parts to their location on Jerome, a papier-mâché anatomical model. 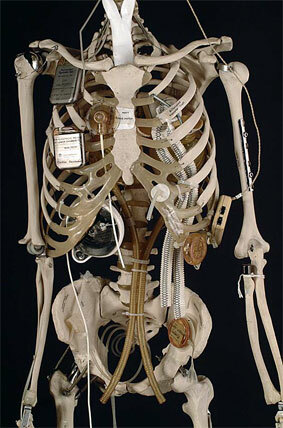 It is part of the online exhibition entitled Artificial Anatomy: Papier-Mâché Anatomical Models. Architects design the buildings we use every day. Their designs solve problems, like how to make a sturdy building, and reflect their ideas about beauty and history. 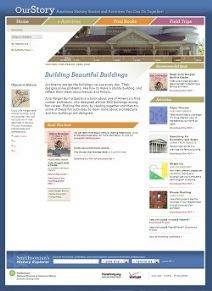 By using this OurStory module from the Smithsonian's National Museum of American History, children and adults can learn about architecture and problem solving through children's literature, museum objects, and hands-on activities. Focused around Julia Morgan Built a Castle, a work of children's literature about Julia Morgan’s studies and successes as an architect, the module includes links to hands-on activities and a list of recommended readings for further exploration. Meet Steven Turner, curator at the Smithsonian's National Museum of American History, as he discusses the Smithsonian's scientific instrument collection. This video focuses on the plate developed by the 18th century scientist Chladni whose instruments create visual representations of wave patterns. This is the fourth video in a series of five. This online exhibition tells of the development of COBOL, a computer programming lanugage, and how it changed the commercial, banking, and defense industries. Fifty years ago, each computer maker used its own programming languages to tell a computer what to do. In 1959, a group of programmers devised COBOL, a COmmon, Business-Oriented Language. Programs written in COBOL could run on more than one manufacturer’s computer. In a 1960 test, the same COBOL programs ran successfully on two computers built by different manufacturers. People around the world have studied the stars and shared stories through constellations and astrology. By using this OurStory module, children and adults can enjoy exploring history together through children's literature, everyday objects, and hands-on activities. Focused around Maria's Comet, a work of children's literature about a young girl who longs to study the stars, the module includes links to hands-on activities and a list of recommended readings for further exploration. DNA is inside the cells of every living thing, including you. This experiment lets you see the long, twisting molecules of DNA inside cells. 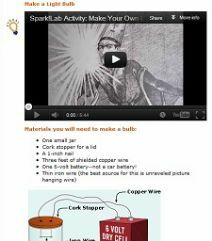 This activity from Spark!Lab includes step-by-step directions, a worksheet for documenting the experiment, discussion questions, and ideas for extending your learning. Spark!Lab activities encourage young learners to explore the invention process, from creative ideas all the way to successful marketing. This lesson plan, developed in support of the exhibition Paper Engineering: Fold, Pull, Pop, and Turn, introduces students to the variety of mechanisms included in movable books and encourages them to build their own pop-up in support of a social studies lesson. Making pop-ups subtly reinforces students’ understanding of mechanical movement and helps budding architects, designers, and engineers begin to envision objects three-dimensionally. 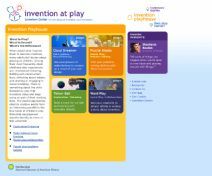 Through the use of four interactive games, students will learn how play-the ordinary and everyday "work of childhood"-connects to the creative impulse of both historic and contemporary inventors in the Invention Playhouse. 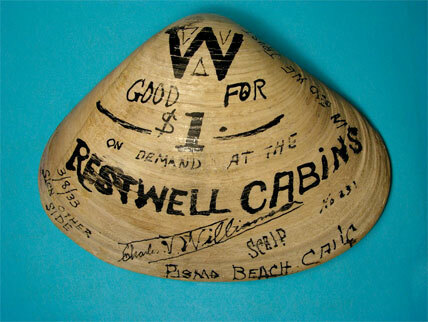 This resource is part of the Invention at Play online exhibition from the Lemelson Center. This activity will help students understand how polio affected the lives of Americans throughout the 20th century. By viewing the animated Lifecycle of the Polio Virus, students will learn how the poliovirus begins the infection process. This game is part of the online exhibition, Whatever Happened to Polio? Thomas Edison changed our world with electric lights and an entire system that produced and delivered electrical power. Try your hand at making your own light bulb. 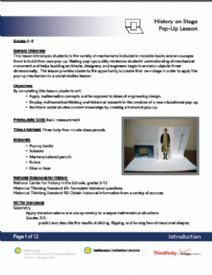 This activity from Spark!Lab includes step-by-step directions, a printable chart to record the experiment, and discussion questions. Spark!Lab activities encourage young learners to explore the invention process, from creative ideas all the way to successful marketing. 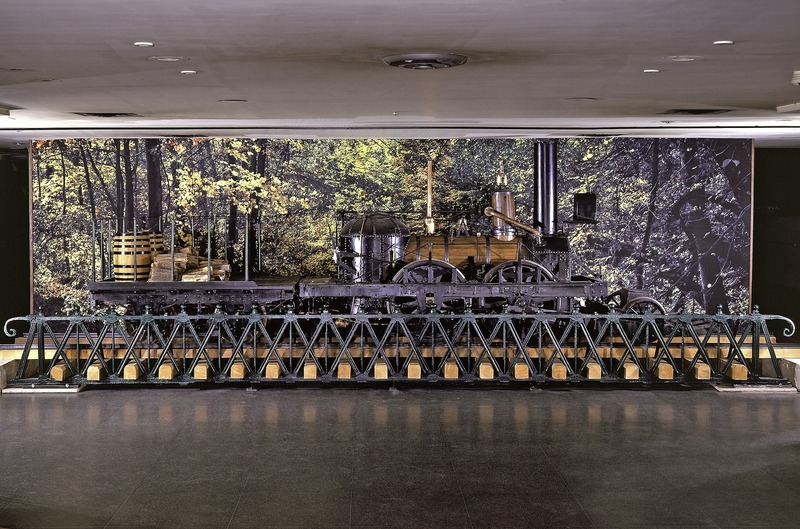 Meet Steven Turner, curator at the Smithsonian's National Museum of American History, as he discusses the Smithsonian's scientific instrument collection. This video focuses the science behind and uses for tuning forks, including demonstrations of tuning forks on resonators, the Grand Tonometer, a medical tuning fork, and a beats apparatus. This is the third video in a series of five. The complete series is available on YouTube. Yorick is a plastic male skeleton imbedded with electronic and mechanical devices used to replace worn body parts. Yorick was created by Ed Mueller, an engineer in the Division of Mechanical and Material Sciences at the United States Food and Drug Administration (FDA), in Washington, D.C.
Yorik often made appearances at schools, Scout meetings, and hospitals to educate students about bionics and current research on implant design development. Some of the devices implanted in Yorick are: cranial plate, silicone nose, carbon tooth root, interocular lens, cochlear implant, heart valve, artificial heart, cardiac pacemaker, infusion port, vascular grafts, urinary sphincter prosthesis, artificial patella, bone plate, artificial tendons, bone growth stimulator, and artificial hip, knee, elbow, and finger joints.